A fascinating record of the highs and lows of a youthworker's life told in Nick Page's trademark humorous style. Through his emails to his mentor the youthworker at Briglimpton Tabernacle introduces us to the highs and lows, joys and sadnesses, triumphs and disasters of his job. Meet the young people: Julian, the trainee martyr; Glenda, the eco-warrior and Vanessa, who knows God intends her to marry a certain youthworker. Then there are the adults: his defensive and embattled Pastor, and Stanley, the caretaker who thinks that Young People are some sort of disease. Anyone who wants to know what their kids get up to on Friday nights and those involved in youthwork will find things to think about, people they recognise and loads to laugh about. 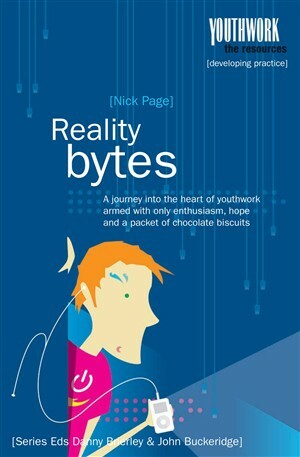 Reality Bytes: Adventures of an Online Youthworker by Nick Page was published by Spring Harvest in April 2005 and is our 4949th best seller. The ISBN for Reality Bytes: Adventures of an Online Youthworker is 9781850786184. Be the first to review Reality Bytes: Adventures of an Online Youthworker! Got a question? No problem! Just click here to ask us about Reality Bytes: Adventures of an Online Youthworker.